Burberry showcased their SS14 collection today during London Fashion Week and Cara Delevingne made yet another appearance on the catwalk. The collection consisted of floral embroidery, polka dots, and candy colours. 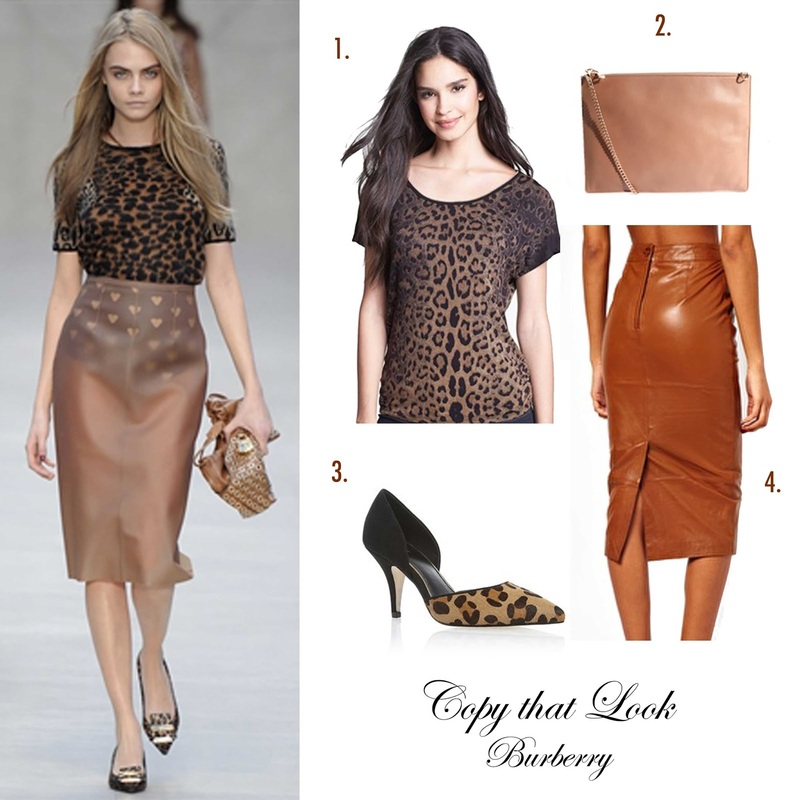 Burberry was yet another designer that confirmed that the much loved midi skirt is not going anywhere next season. You can recreate key pieces from Burberry's SS14 collection along with AW13 for a fraction of the price, with well known high street stores.